In this workshop, Brian will cover what you need to know related to Application Lifecycle Management and DevOps with the Microsoft stack. He'll be digging into Visual Studio 2013, TFS and Visual Studio Online but also what's the latest with Visual Studio 2015, Team Foundation Server 2015 and all the new features Microsoft is building to make DevOps a reality. Each release of Visual Studio and Team Foundation Server keeps getting better. Starting with the 2012 release, Microsoft has upped their release cadence. They're shipping updates for Visual Studio and Team Foundation Server about every quarter. The online service sees updates almost every three weeks! So there's a lot to learn to get the most out of your tools so you can deliver great solutions. Brian will cover the product with the assumption you know the basics. Yet he'll make sure to cover what's new. 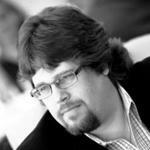 He'll dig into the new Git version control, Enterprise Agile, and Release Management features in 2013 and 2015. He'll compare and contrast TFS with the Visual studio Online, cover some App Insights, and answer your tough questions. So come on down with your existing knowledge of Visual Studio and TFS and spend a great day learning.